Marchionne's latest share purchase is a show of faith in the group he created out of Fiat and Chrysler. 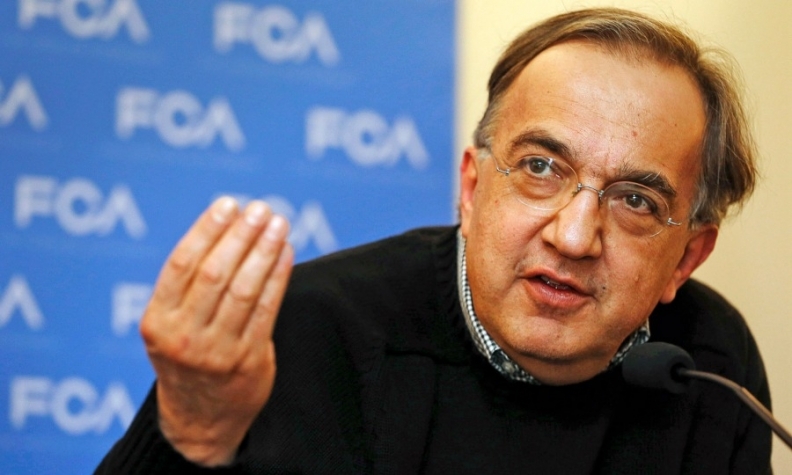 MILAN -- Sergio Marchionne, chief executive of Fiat Chrysler Automobiles, is putting his money where his mouth is. Last week, a U.S. regulatory filing revealed that he had bought 335,745 ordinary shares in the group at 7.727 euros apiece for a total of 2.6 million euros. The purchase, documented in a filing to the Securities and Exchange Commission, comes after he presented his latest strategy plan in May to turn FCA into the seventh biggest carmaker in the world by boosting sales to seven million vehicles by 2018 from 4.4 million last year. It is a plan that has been met with skepticism by analysts, who describe it as too ambitious. Marchionne has come to own 6.8 million shares, representing 0.42 percent of the total number of FCA shares outstanding when including the special voting shares that were awarded when Fiat completed its acquisition of Chrysler this summer. These special shares give shareholders extra voting rights as long as they hold on to them for three years. Marchionne’s stake would otherwise stand at 0.5 percent. Marchionne also has 16.9 million stock options that are exercisable within 60 days under FCA equity incentive plans, a subsequence Oct. 22 filing with the U.S. market regulator showed on Thursday. If exercised, he would own 23.8 million shares, representing 1.5 percent of the total when including special shares. The price at which Marchionne bought the last batch of shares is the one that FCA offered to buy out Fiat shareholders who did not want to remain invested in the newly created group. As chief executive, he stands to receive many more shares from grants and other benefits that come with his job in the coming years. John Elkann, chairman of FCA as well as chief executive of the group’s parent company, Exor, bought about $1 million worth of shares in May. Since then Elkann has not bought any more shares, according to an Exor spokesman. The latest SEC filing shows Elkann has 133,000 shares in his personal portfolio. UBS analyst Philippe Houchois said Marchionne’s latest purchase was likely done as a show of faith in the group. “It could be a symbolic gesture,” he said. Marchionne bought the latest shares at a good price, said Houchois, who has a target price of 10 euros for FCA. In creating FCA, Marchionne had it incorporated in the Netherlands with its fiscal residency set up in London. He then made its primary stock listing in New York, where it began trading on Oct. 13. Another London analyst said FCA’s stock had performed modestly because investors preferred to wait for Marchionne’s plan to start producing results - something that will take some time. The Oct. 22 filing has a disclaimer saying Exor has no plans to buy more shares in FCA, work towards merging FCA with another group nor get FCA to sell assets. But it also stipulates that Exor reserves the right to do so in the future if it sees fit.